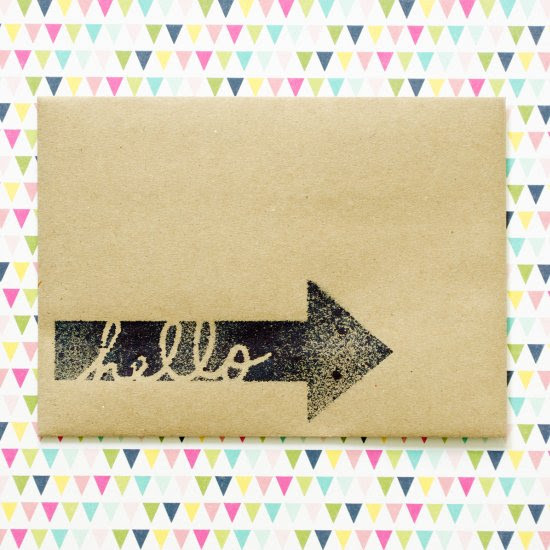 Download these calligraphic Hello flag tags to adorn your gifts or use as scrapbook elements. Available in two colors. Drop a note & say hello with this tutorial on how to permanently adhere chalk to paper! Brighten the day of anyone that comes to your front door. Learn how to make your own. Checkout how easy it is to create a beautiful faux hand painted look with some stamps and watercolor paper! Yo-de-lay-hello! Reconnecting with nature and with old friends. A quick and easy way to spruce up the OUTSIDE of your envelope! All you need to do is spritz! Your mail carrier will love you! Video tutorial on how to create a card with watercolor resist. Make a sweet little greeting card with some stamp masking, some cute washi tape and some yummy hemp cord! Step photos included! Video tutorial - a fun family of hedgehogs decorating cards and tags to bring a smile to anyones face. Step by step tutorial on how to create this feminine friendship card.